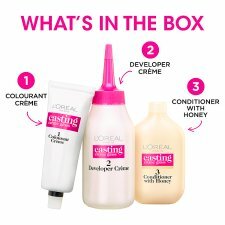 Achieve natural-looking colour with visible shimmering tones using Casting Crème Gloss. The no-ammonia crème formula blends away grey hair, and provides a luscious smell. Colour lasts up to 28 shampoos. 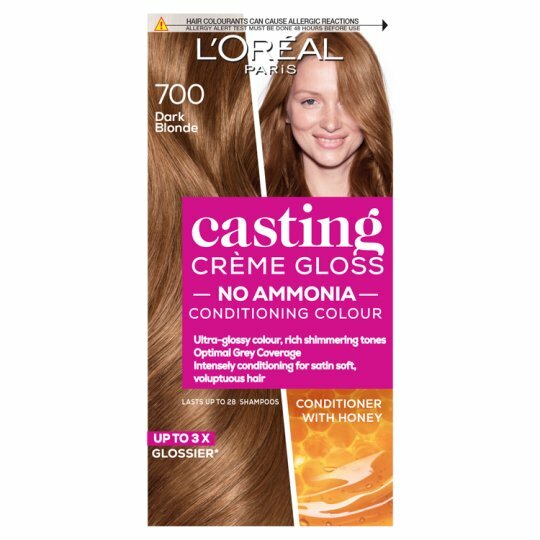 After colouring, the conditioner reveals shiny blonde hair with a sunkissed look. 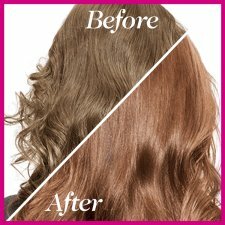 It leaves your hair soft and voluptuous with an exceptional shine.